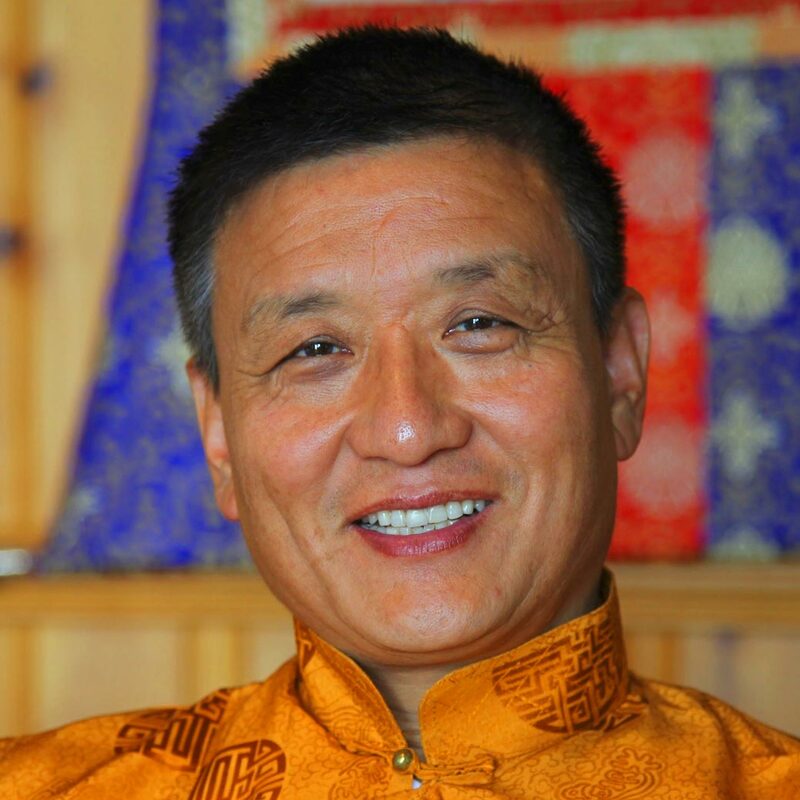 Geshe Tenzin Wangyal Rinpoche, founder and spiritual director of Ligmincha International, is an acclaimed author as well as a highly respected and beloved teacher to students throughout the United States, Mexico and Europe. Fluent in English, Tenzin Rinpoche is renowned for his depth of wisdom; his clear, engaging teaching style; and his ability to make the ancient Tibetan teachings highly accessible and relevant to the lives of Westerners. Tenzin Rinpoche was born in Amritsar, India, not long after his parents escaped their Tibetan homeland in 1959 during the Chinese Cultural Revolution. At age 10 Tenzin Rinpoche was ordained as a monk at Menri Monastery near Dolanji, India. There he was recognized by head teacher Lopon Sangye Tenzin Rinpoche as a reincarnation of the famous master Khyung Tul Rinpoche, a renowned meditation master, teacher, scholar and healer who died in the mid-20th century. From the age of 13 Rinpoche practiced dzogchen under the guidance of masters from both the Bon and Buddhist schools of Tibet, including (from Bon) His Holiness Lungtok Tenpai Nyima, Lopon Sangye Tenzin Rinpoche, Lopon Tenzin Namdak Rinpoche, and Geshe Yungdrung Namgyal. From his early adolescence until young adulthood, Tenzin Rinpoche was raised like a son by his root teacher Lopon Tenzin Namdak Rinpoche, today revered as the most senior teacher of the Bon tradition. An accomplished scholar in the Bon Buddhist textual traditions of philosophy, exegesis and debate, Tenzin Wangyal Rinpoche in 1986 completed an 11-year course of traditional studies at the Bon Dialectic School of Menri Monastery, where he received his geshe degree, equivalent to a doctorate in philosophy from Western universities. Upon graduating, Tenzin Rinpoche was employed at the Library of Tibetan Works and Archives at Dharamsala, India. That same year His Holiness the XIV Dalai Lama appointed Rinpoche to be the Bon tradition's representative to the Assembly of Tibetan People's Deputies of the Tibetan-Government-in-Exile. Tenzin Wangyal Rinpoche was one of the first to bring the precious Bon teachings to the West. In 1988 he was invited by the dzogchen master Chögyal Namkhai Norbu Rinpoche to teach in Italy, which brought him additional opportunities to teach in other locations throughout Western Europe. In 1991 Tenzin Rinpoche was awarded a Rockefeller Fellowship at Rice University in Houston, Texas, where he continued his research into early Bon tantric deities and their relationship to Buddhist traditions in early Buddhist Tibet. He was awarded a second Rockefeller Fellowship in 1993 when Rice University invited him back to teach during the spring semester. Since that time Tenzin Rinpoche has chosen to remain in the West to teach the ancient Bon traditions to Western students. 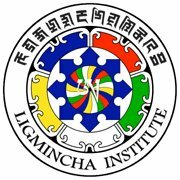 In March 1992 Rinpoche founded Ligmincha Institute in Charlottesville, Va., a non-profit organization whose purpose is to preserve for future generations the ancient teachings, arts, sciences, language and literature of Tibet and Zhang Zhung. In 1994 he received a grant from the National Endowment for the Humanities to pursue research on the logical and philosophical aspects of the Bon tradition. The fruits of that research came with the 2006 publication of the scholarly text Unbounded Wholeness: Dzogchen, Bon and the Logic of the Nonconceptual (Oxford University Press, 2006), written in collaboration with Anne Carolyn Klein, chair of religious studies at Rice. Also in 1994 Tenzin Rinpoche appeared on the Discovery Channel, where he explained the principles involved in Tibetan dream yoga practice as one segment of a three-part series entitled "The Power of Dreams". In 1998 Rinpoche established the Serenity Ridge Retreat Center amid the mountains of Nelson County, Va., 30 minutes south of Charlottesville. In spring 2004 Tenzin Wangyal Rinpoche married Tsering Wangmo, sister of Lama Khyimsar Rinpoche (lineage holder of the Bon monasteries Pungmo Gon and Lhari Nyiphug in Tibet and founder of the Tibetan Yungdrung Bon Institute, United Kingdom). In fall 2005 their son, Senghe, was born. The Wangyal family currently resides in California in the San Francisco Bay Area. Today Rinpoche continues his dedicated efforts to preserve the Bon Buddhist tradition through establishing centers and groups worldwide, through translating and publishing texts, and through teaching Bon as an authentic, living tradition to Western students around the world. In 2006 during the European summer retreat in Buchenau, Germany, Rinpoche announced the creation of Lishu Institute, a school near Dehra Dun, India, where Western students will be able to continue and deepen their knowledge and experience of the ancient teachings and practices of Bon. Share your thoughts, suggestions, questions or appreciation with Geshe Tenzin Wangyal Rinpoche.